Tickets for the Sky Bet EFL Division ONE fixture away at AFC WIMBLEDON are on Sale. GENERAL SALE – Wednesday 29th March 2017. The total allocation of AWAY tickets for this match is just 774. General Sale tickets are available on Wednesday 29th March 2017. Over 65 & Students – £11. The current AFC Wimbledon Stand names differ from this Stadium plan. 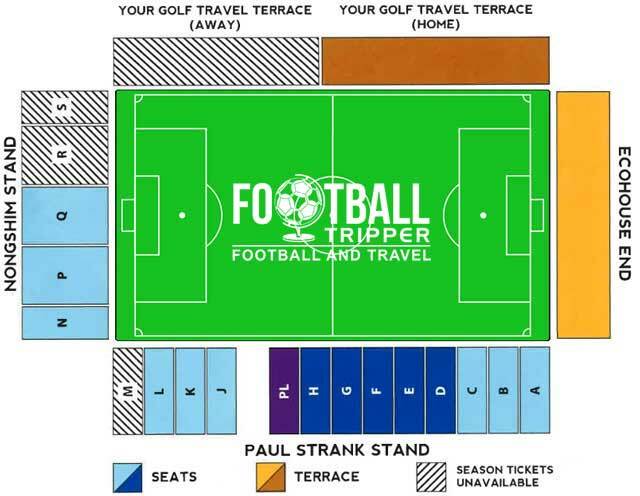 The Visiting supporters areas are unchanged. Bristol Rovers FC Ticket Office Manager Clare McDonagh direct on 0117 952 4001. Supporters can purchase tickets for this fixture over the phone by calling 0117 009 6648 (Option 1).